Gearoidín Breathnach is a traditional storyteller or Seanchaí and a Sean-Nós singer from the Gaeltacht area of North-West Donegal. Gearoidín is two time winner of the prestigious sean-nós singing competition Corn Uí Riada and two time winner of Corn Neddie Frainc Mac Grianna in storytelling. 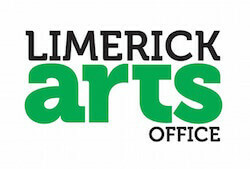 Gearoidín has been a part of numerous worldwide productions within the arts. She has published a wealth of literature aimed at the younger generation to entice and inspire the next generation to learn the storying telling and singing traditions of old. She has produced a number of highly successful CD’s of local traditional songs that are listened to worldwide. 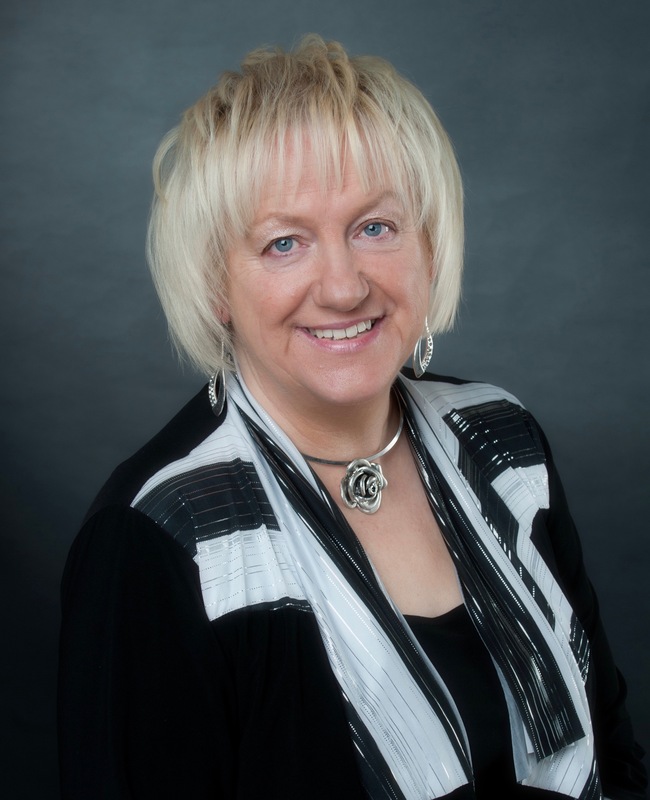 Gearoidín has also received special accolades for her services within the arts such as Gradam Speísíalta Fleadh Ceoil na hÉireann in 2005 awarded by Comhltas Ceoltóirí Éireann and the world renowned international culture award La Traglia in 2011. Past winners of this accolade include the 14th Dalai Lama Tenzin Gyatso and Tara Gandhi Bhattacharjee daughter of the famous Mahatma Gandhi. Gearoidín also works with groups from young children to adults and with people from all around the world who want to experience a taste of Irish stories, songs and culture. Seanchaí agus ceoltóir tradisiúnta sean-nós atá in Gearoidín Breathnach agus tá sí ina cónaí i iar-thuaisceart Thír Chonaill. Is buaiteoir Corn Uí Riada príomhchomórtas amhránaíochta ar an Séan-Nós faoi dhó í agus buaiteoir Corn Neddie Fraic Mhic Grianna príomhchomórtas scéalaíochta ag an Oireachtas. Glacann Gearoidín páirt í gcuid mhór imeachtaí sa tír seo agus thar lear. Tá cuid mhór cumtha agus scríobhtá aici dírithe ar an aos óg lé iad a gríosú, spreagadh agus a mhealladh lé suim a chuir ins na tradisiún éagsúla mar an scéalaíocht, ceol agus ar gcultúr. Tá dhá dhlúthdhiosca foilsithe aici a bhfuil toir mór orthu ar fud an domhain mhór. Tá go leor duaiseanna agus gradam buaite aici. Sa bhliain 2005 bhronn Comhaltas Ceoltóirí Éireann Gradam Speisialta Fleadh Ceoil na hÉireann uirthi agus sa bhliain 2011 bronnadh an gradam idirnáisúnta La Traglia uirthi san Iodáil. Bronadh an Gradam seo sna blianta chuaigh thart mar shampla ar an 14ú Dalai Lama Tenzin Gyatso agus ar Tara Gandhi Bhattacharjee iníon do Mahatma Ghandi. Oibríonn Gearoidín lé grúpaí éagsúla dhaoine óga agus daoine fásta bhfuil súim acu blás de chultúr na hÉireann a bhlású. Karan released her first album with the group Solas, which quickly became the most celebrated Irish band in the U.S., and her four years with the group were pivotal. Since embarking on her solo career Karan has released 6 solo albums, a duo album (with John Doyle), an album for children and numerous contributions to other artists’ projects – appearing on more than 50 albums in total. She has toured constantly throughout North America, Europe and Japan, performing solo, with her own band and with many other diverse artists. 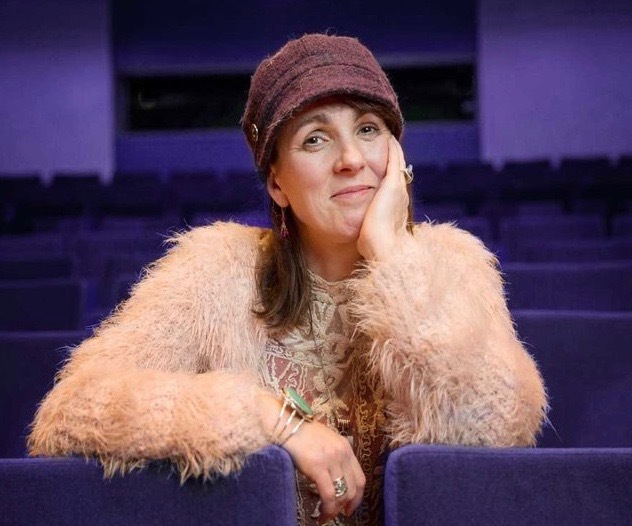 Recent years have seen Karan appearing with Folk legends James Taylor, Liam Clancy, Peggy Seeger, Mick Moloney and The Dubliners and Imelda May as well as performances with Solas, Lunasa, Tim O’Brien and Capercaillie’s Karen Matheson and collaborations with pianist/composer Mícheál Ó Súilleabháin and with Breton guitarist Gilles le Bigot’s “Voix de la Terre”. Other ventures have included The Vallely Brothers Big Band and Niall Vallely’s “Turas na dTaoiseach/Flight of the Earls” event, which was premiered in Belfast’s Grand Opera House and later performed in Louvain, Belgium. She was also involved in Tommy Hayes’s “Apples in Winter” multimedia project. She presented a program on Irish National Television exploring the songs associated with the Irish Labour Movement. Karan has won awards for “Best Folk Album” and “Best Folk Female” from Irish Music Magazine and been nominated for the BBC Folk Awards and the Danish Grammys and was a key member of Paul Winter’s Grammy-award winning “Celtic Solstice”. She has appeared at festivals in Europe and the US such as WOMAD USA, the Cambridge Folk Festival, Celtic Connections, the Philadelphia Folk Festival, Festival Cornouaille, Festival Interceltique Lorient, Milwaukee Irishfest and Merlefest as well as appearing at many prestigious venues including the Kennedy Centre (Washington DC), New York’s Symphony Space, Nashville’s Grand Ole Opry, the Hollywood Bowl, Dublin’s National Concert Hall, the Cathedral of St John the Divine, the Glasgow Royal Concert Hall and many others. She has made many TV and radio appearances on both sides of the Atlantic and has been a frequent guest on nationally syndicated radio and TV shows such as Garrison Keillor’s ‘A Prairie Home Companion’ and “Mountain Stage”. In 2009 Karan released her fifth solo album entitled “Ships in the Forest” on the Crow Valley Music label. Produced once again by Donald Shaw, this album focuses largely on the traditional repertoire. “Exiles Return” a duet album with former Solas band-mate John Doyle was released to widespread critical acclaim in early 2010 and was named in the Top 5 albums of the year by The Irish Echo newspaper. Karan continues to tour with her own band and as a duo with John Doyle. Over the past 2 two years Karan has: performed with Béla Fleck & the Flecktones at the Glasgow Royal Concert Hall; appeared on television with Imelda May and legends The Dubliners; toured in Germany, Switzerland, the Netherlands, Norway and Sweden with the Celtic Super Night featuring Lunasa, Martin Hayes and Máirtín O’Connor; guested with Spanish band Tejedor at the Festival Interceltique Lorient in France; toured Ireland and the US with Buille and toured in the US with John Doyle. Two More Hours is Karan’s sixth solo album and her first entirely self-penned album. Contemporary in tone it takes a much more personal approach to her writing and singing. It features a duet with Irish chart-topper Mick Flannery as well as contributions from Abigail Washburn and Aoife O’Donovan and was produced by Niall Vallely. A departure from the traditional music she has focused on for many years Two More Hours draws on Karan’s life-long love of R&B, Jazz and Blues in creating a vibrant new mix of sounds. Vallely’s string arrangements help meld together a stellar cast of Ireland’s finest musicians from the worlds of Classical, Folk and Rock music including Ken Rice, Kate Ellis, Sean Og Graham, Trevor Hutchinson, Eoghan Regan, Danny Byrt and Caoimhín Vallely. Karan recently completed a sold-out Music Network tour of Ireland with Maura O’Connell and a tour of the US with Lúnasa as well as performances with A Stór Mo Chroí(featuring John Spillane, Lumiere and Muireann Nic Amhlaoibh). Upcoming performances include concerts in the US with her own band and with Solas as well as two appearances at Boston’s Symphony Hall with the Boston Pops Orchestra. A native of Co. Meath, Róisín Ní Gallóglaigh has spent most of her life between the west of Ireland and Spain. She has been the lead singer with many bands including Pervish (not a misprint! ), La Banda Del Pezgato and Albaiswing. At present Roisin sings with UL vocal ensemble Hazelwell and Irish music ensemble Coisire. She has performed in the past with artists such as Bobby Mc Ferrin and The Chieftains. In 2011 she was awarded her degree in Irish Music and Dance from the University of Limerick where she specialised in Traditional Irish song under the tutelage of Eilís Ní Shúilleabháin and Muireann Nic Amhlaoibh. As a solo artist Roisin performs songs from the Irish, English and Scots tradition alongside her own compositions. 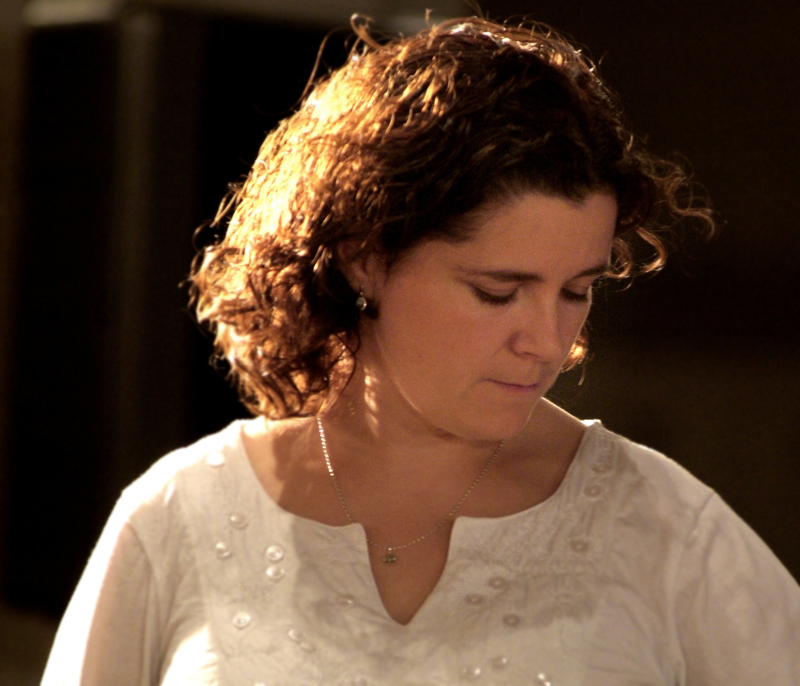 She has been a traditional song tutor at the Irish World Academy of Music and Dance and for Chaladh an Treoigh Comhaltas since October 2011. 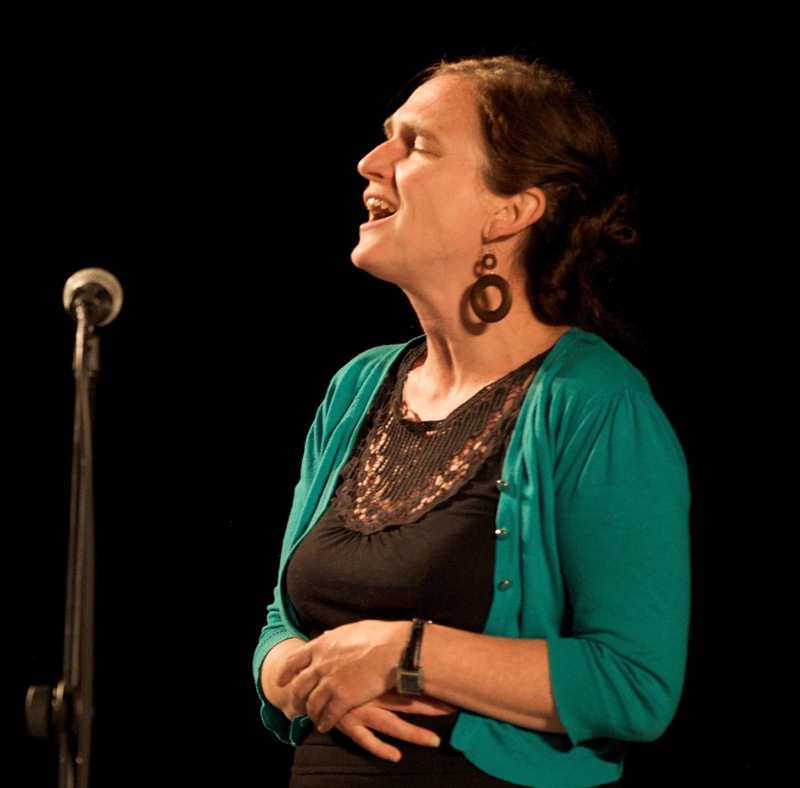 Roisin has been researching in the area of traditional song since completion of her degree. As a result of this research she has presented two papers at the University of Limerick Song Seminar Series 2011/12 and at the North Atlantic Fiddle Conference in Derry (Nafco) 2012.